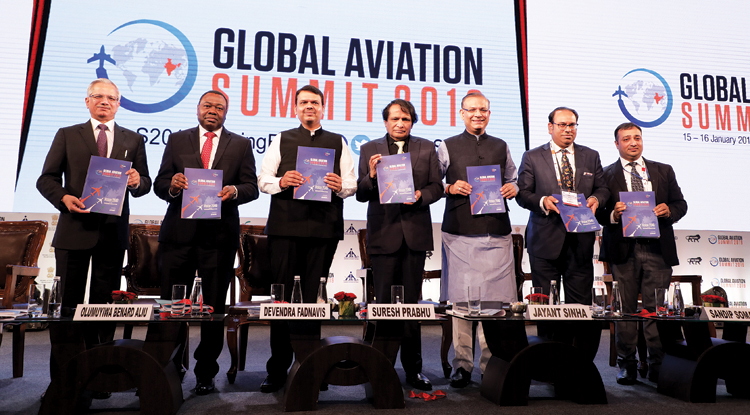 India unveiled a Drone Ecosystem Policy Roadmap and a National Air Cargo Policy at the Global Aviation Summit in Mumbai on January 15 and 16 while articulating a Vision 2040 for the Civil Aviation Industry, showcasing itself as a 1.12-billion air passenger market by 2040. The civil aviation establishment led by Minister Suresh Prabhu and his deputy Jayant Sinha used the high profile congregation to provide a glimpse of India’s policy efforts and vision to shepherd one of the fastest growing sectors in the Indian economy. The Aviation Market in India is already worth 2 lakh crore, which pegs it at the same level as Telecom and Railways. 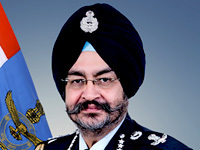 Taking note of the exponential growth, Dr Olumuyiwa Benard Ali, President of International Civil Aviation Organisation (ICAO) said if the growth momentum of the Indian aviation market continues, then very soon it will the third largest aviation market in the world. He also focused on the need for better skill development of the next generation aviation professionals. The theme of the Summit – Flying for All – showcased Prime Minister Narendra Modi’s UDAN policy to make air travel affordable and accessible for all sections of society. 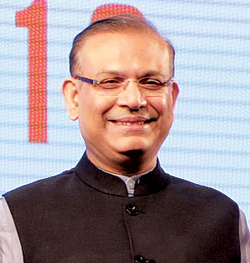 “Prime Minister Modi’s dream of Flying for the man wearing chappals is already becoming a reality here,” Minister of State for Civil Aviation Jayant Sinha said, pointing out that air travel in India is cheaper than auto rickshaw rides in terms of per kilometre cost. It was making civil aviation accessible to the common man that was powering the exponential 20 per cent growth in the domestic civil aviation market annually for the last four years, he emphasised. The Ministers and panellists together unveiled the Vision 2040 document which aims at 1.12 billion air passengers by 2040, up from 187 in 2018. Following the unveiling, Minister of State Sinha said Prime Minister Modi’s motto of “reform, perform, transform and then inform” is becoming a reality in the aviation sector, with 100 Million air passengers being added in the last four years alone. Despite the exponential growth, the Minister emphasised that no compromise had been made on safety standards. While inaugurating the Summit, Civil Aviation Minister Suresh Prabhu highlighted the importance of Artificial Intelligence and Big Data to the aviation environment of the future. He stressed the need to leverage modern technology to improve the global flying ecosystem. Prabhu laid stress on safety and sustainable growth of the sector with “planet friendly” flying practices. “We have zero tolerance for safety violations,” he said, while also expressing India’s commitment to sound environmental practices and clean fuel. “It is our bounden duty to ensure that our skies remain blue for all times to come,” Prabhu asserted in his inaugural remarks. 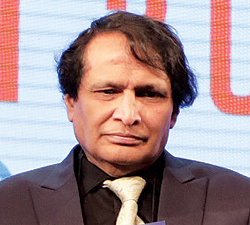 Prabhu indicated that a robust policy framework was in the works. While the Government has already prepared a Drone and Air Cargo Policy, it will soon prepare a roadmap for aircraft manufacture in the country. A National Logistics Policy is also in the works, and this will lead to the creation of several logistic hubs across India. In his message for the Summit, Prime Minister Modi also asserted that development of civil aviation infrastructure was a priority for his Government. “Our government is actively working on enhancing aviation infrastructure, improving connectivity and making flying more affordable,” Modi stated. Maharashtra Chief Minister Devendra Fadnavis said aviation contributes 15 per cent to the national GDP, and that the requirements of an industrialised Maharashtra have generated a big demand for additional aviation infrastructure and more airports. “The upcoming new Navi Mumbai International Airport, to be operational by 2022 will offer a unique experience. It has a capacity to add 1 per cent to the GDP. Nine more airports are in the pipeline in the state,” Fadnavis informed. While Pune airport is being developed to cater to one of the major IT hubs in the country, Nagpur airport is being infrastructurally augmented to enable it to take advantage of its central location. A passenger and cargo hub is being created at Nagpur, while Boeing has already started producing aircraft components there. More production unit by other companies are in the offing at Nagpur, he said. Organised by the Ministry of Civil Aviation along with the Federation of Indian Chambers of Commerce and Industry, the Global Aviation Summit provided a platform to discuss the way forward, riding the strong tailwind of growth with the objective of doubling global air traffic by 2030. Representatives and delegates from over 80 countries participated in the Summit. The Summit was supported by the International Civil Aviation Organisation, Federal Aviation Administration of the US, International Air Transport Association, Civil Air Navigation Services Organisation, Airports Council International and Association of Asia-Pacific Airlines. The National Civil Aviation Policy (NCAP 2016) signals the government’s intent to radically alter the sector’s growth trajectory. NCAP’s flagship programme – Regional Connectivity Scheme (RCS or UDAN) is taking flying to the masses by offering subsidised fares as low as USD 35 for a one-hour flight. India will become one of the top aviation hubs by 2040. The passenger traffic is expected to grow six-fold to around 1.1 billion. India has one of the largest aircraft order books currently with pending deliveries of over 1000 aircraft. Its commercial airline fleet is likely to grow from 622 in March 2018 to around 2359 in March 2040. By 2040, India will assemble nearly 70 per cent of its commercial aircraft demand and also export to other countries. India will establish its own aircraft leasing industry which may handle almost 90 per cent of aircraft being ordered in India by 2040. By 2040, India will witness a boom in usage of drones and helicopters, especially in urban commuting and medical evacuation. With a supportive policy regime, India could become a global leader in research, design and manufacturing of drones and anti-drone systems. There could be over 200 amphibious aircraft located across India’s coastline and waterbodies. India may have around 190-200 operational airports in 2040. Its top 31 cities may have two airports and the cities of Delhi and Mumbai three each. The incremental land requirement is expected to be around 150,000 acres and the capital investment (not including cost of acquiring land) is expected to be around USD 40-50 billion. The government may consider establishing a Nabh Nirman Fund (NNF) with a starting corpus of around USD 2 billion to support low traffic airports in their initial phases. The concept of land pooling may be used to keep land acquisition costs low and to provide landowners with high value developed plots in the vicinity of the airports. Ground handling and airport operations will be highly automated and driven by electric ground support equipment. Check-in, bag drop, immigration clearance, retail shopping etc. will be automated, with minimal human intervention. Indian airports will invest heavily in cloud computing capabilities, which will enable integration of different safety and security data sets such as security camera feeds, facial recognition, luggage scans, security incident reports etc. Air cargo throughput is projected to quadruple to 17 million tonnes in FY 2040. Cargo processing will be completely paperless and dwell times reduced to just 1-2 hours. India’s freighter fleet is likely to expand multi-fold with the growth in e-commerce. India will gradually become a trans-shipment hub for entire South Asia. 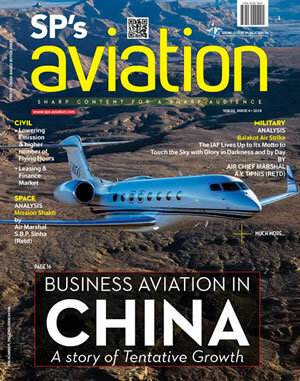 The tax structure for Aviation Turbine Fuel (ATF), Maintenance, Repair and Overhaul (MRO) and aircraft leasing may be gradually aligned with leading global jurisdictions. India’s tax structure and repossession processes will be equally or more attractive than those in leading global jurisdictions. The elitist tag and high tax incidence on GA may gradually go away. A significant course correction in policies, taxation and customs procedures will enable growth of India as a global MRO hub by 2040, handling nearly 90 per cent of the MRO requirements of large Indian carriers. 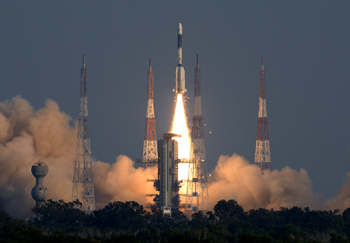 Over the next 5-8 years, all Indian aircraft will be flying on the satellite-based GAGAN system developed by Airports Authority of India and Indian Space Research Organsation. This will lead to better airspace utilisation and safer operations despite reduced aircraft separation. GAGAN signals will also be used by other sectors like shipping, highways, railways and agriculture etc. India will witness a massive upgrade of its aviation education and skilling infrastructure. Its affordable and high-quality aviation education system will attract students from across the globe. DGCA may be converted into a fully-independent Civil Aviation Authority, with its own sources of funding and freedom to recruit professionals at market-linked salaries. Most transactions with DGCA will be automated with minimal human interface. The focus is on Beyond Visual Line of Sight (BVLOS) & Autonomous Operations and above the current limit of 400 feet. Unmanned Aerial System (UAS) flights to be allowed only in a designated Drone Corridor, a segregated airspace to ensure that commercial UAS operations do not interfere with the non-segregated airspace meant for manned aircraft. Droneports to be designated to facilitate take-off and landing of the UAS. A UAS Traffic Management to be responsible for managing UAS -induced traffic in the Drone Corridor. The regime of No Permission, No Take-off (NPNT) to continue to provide security from unauthorised flights. Improved and advanced pilot training methods to be introduced to meet designated professional requirements. 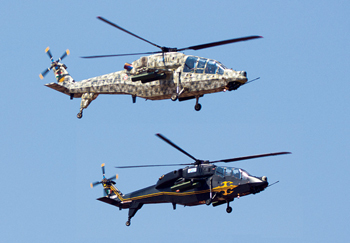 Use of algorithms for piloting may be permitted, but only if adequate safety, security and privacy principles are demonstrated in the design of operations. Considering the increased exposure due to commercial operations, UAS operators to have a professional liability insurance to cover the cost of legal fees and damages awarded against such operators. New principles of air worthiness could be introduced to include safety by design, security by design and privacy by design. Operation should be allowed over civilian airspace after manufacturers meet certain standards, and operators prove safety of all stakeholders in designated test zones. For privacy, manufacturers required to adhere to a privacy by design standard, eliminating risks of future privacy harms by operators. 100 per cent FDI in UAS and Remotely-piloted Aerial System-based commercial civil aviation services to boost the ‘Make in India’ initiative. Digital Sky Service Providers to provide enabled services to the UAS Operators, Digital Sky Platform, relevant law enforcement authorities and any other stakeholders. To leverage the Indian air cargo network to provide cargo transportation by air to the masses at an affordable cost and to connect every village to the national and global supply chain. Integrating post offices to the air cargo value chain at the village post office level. The domestic and international air cargo network will dovetail with the Postal network through a common user 7 platform to provide first and last mile connectivity for air cargo. Any air logistics’ company will be able to connect with the Postal Network based on a pre-defined connectivity interface. This will connect villages to both the urban domestic market and international markets providing free flow of goods through air cargo. To make air cargo and logistics in India the most efficient, seamless, and cost and time effective in the world over a period of 10 years. Integrate with global supply chains/ value chains to optimise domestic and international freight. To increase process transparency whilst decreasing shipment delays, costs and dwell time a fully automated paperless trade environment with minimum face to face interactions will be implemented. Engage start-ups in the cargo development. The policy covers all three categories of air cargo transport: domestic cargo to ensure efficient flow of goods across India; international cargo facilitating all indigenous export and import of goods; and transit international cargo by making India the transit cargo hub of choice to and from other parts of the globe. The policy covers development and growth of all types of cargo. Development of regional and state cargo hubs which will act as gateways for the region and states, connected by domestic trade corridors to production hubs. Leveraging India’s geographical location as a transit hub between Europe and South East Asia and a gateway to the South Asian region. Within the AERA approval mechanism and mandate, with a view to create tariffs which are cost effective, reward investment and are simple to understand by all users, institute an efficient and transparent air cargo tariff process and where possible of all the other stakeholders in the Air Cargo supply chain. Shift towards fully facilitated “trust-based” clearance processes through state-of-the-art RMS with robust scanning and identification methodology. The process to result in physical inspections only for those cases where the risk is elevated. Cargo clearances, including those related to part shipments, will be significantly automated with human intervention required on an exceptional basis.